In April, “Fast Food Eric” Baranda compiled a noble list of the best cheap cheeseburgers in town – because there isn’t a better budget meal during tax season. 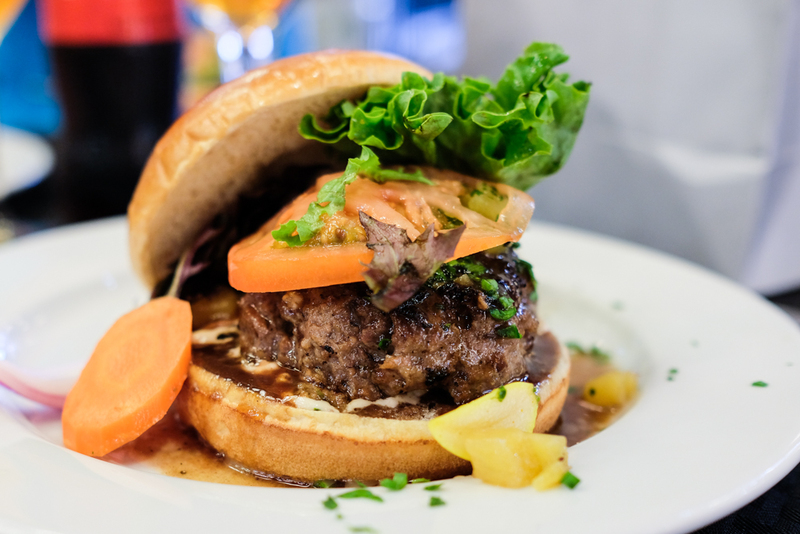 Now that it’s May, National Burger Month, we’re going all out with a list of our favorite gourmet burgers. While burger purists will say all that matters is the beef, I’ll gladly argue that these burgers are more than just the sum of their parts. To be considered, a gourmet burger had to have a fresh hand-formed patty, a distinct identity and a unique ingredient or topping. In no particular order, open wide for these behemoths. The Artizen burger ($12 with fries or salad) may look small in my not-so-tiny hands, but trust me when I say this third-pounder packs a punch. 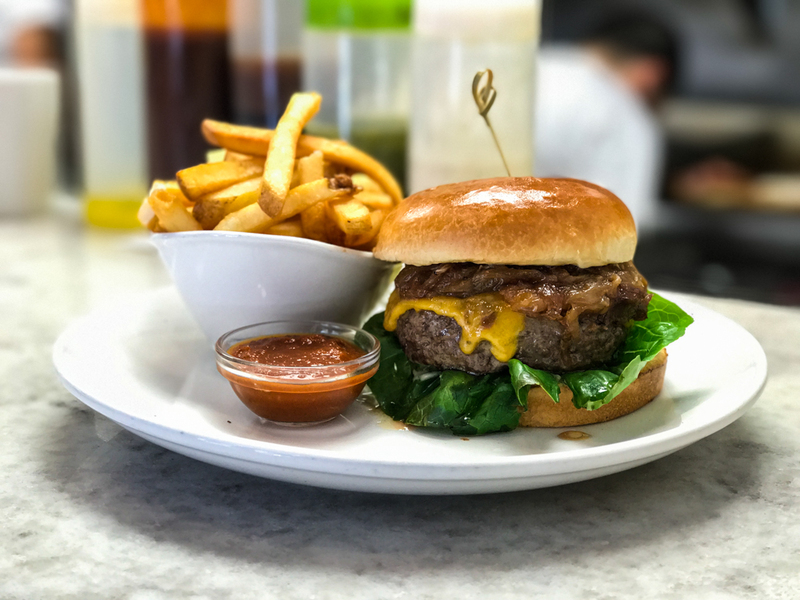 Soft homemade buns envelop a thick patty made with local beef AND bacon, which is topped with more bacon, gouda cheese and local lettuce and tomato. It’s juicy. It’s messy. It’s no doubt gourmet — a true MW-style burger by chef Sam Cervonayco. The word “simple” cannot be found in chef Ernesto Limcaco’s vocabulary. He doesn’t just slap a Maui Nui Venison patty on top of a brioche bun and call it a day (or in this case, a Doe a Deer, $16). No. He takes that sometimes gamey meat and gives it the deluxe treatment with a whole lot of herbs, a braise in bourguignon sauce and a topping of his own tart pineapple chutney. It’s no wonder Varldens Basta Burgare, a Swedish TV show, named it the World’s Best Burger this season. For burger lovers, this shop in Pauoa is a must-go. The Chaz ($17 with fries) has an aura of its own. Its glistening brioche bun and hulking local beef patty are the first things you notice. Then you catch a whiff of the sweet caramelized onions and your eyes roll back. Oh-my-Gawd. It’s worth noting that although the first bite of the Chaz is just as good as the last, you’ll need to ask for more of their housemade ketchup for your continued dipping pleasure. Piggy Smalls’ dinner-only Pho-strami Burger ($18) needs no introduction … just a $#*%load of napkins. Chef Brandon Lee takes his lunchtime Pho-strami sandwich to the next level by layering a freshly ground Makaweli beef patty with cheddar cheese, thick burnt onion slices, whole-grain mustard and smoky “brisket bacon” between a beautifully eggy bun. The airy-crisp “brisket bacon,” a house specialty, is orgasmic alone. When placed atop this monster it becomes the final brushstroke in a masterpiece. Duh nuh nuh nuh nuh nuh Dad Bod! I think you might gain a gut just looking at this burg. 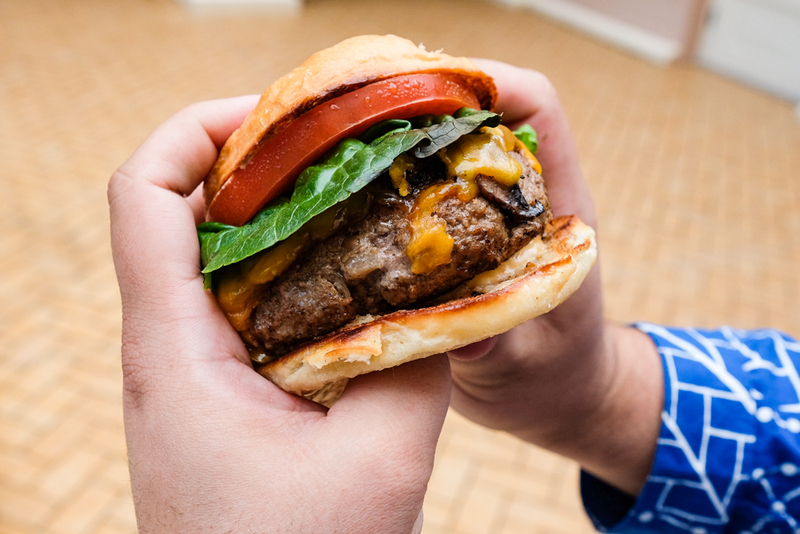 Square Barrels is home to burgers of all shapes, sizes and proteins but the most honest of them all is this giant. 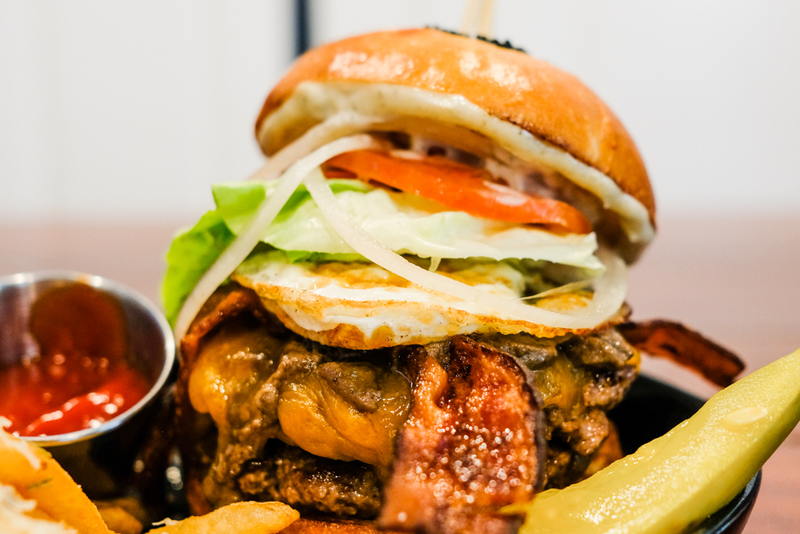 Two 4-ounce local beef patties lay the foundation for a fried egg, mushroom duxelles and a bacon crown of ultimate indulgence. Immediate side effects may include the telling of bad jokes and puns, a major kanak attack and/or a serious inclination to drink beer and watch “the game” on TV. This is strictly an off-menu item.